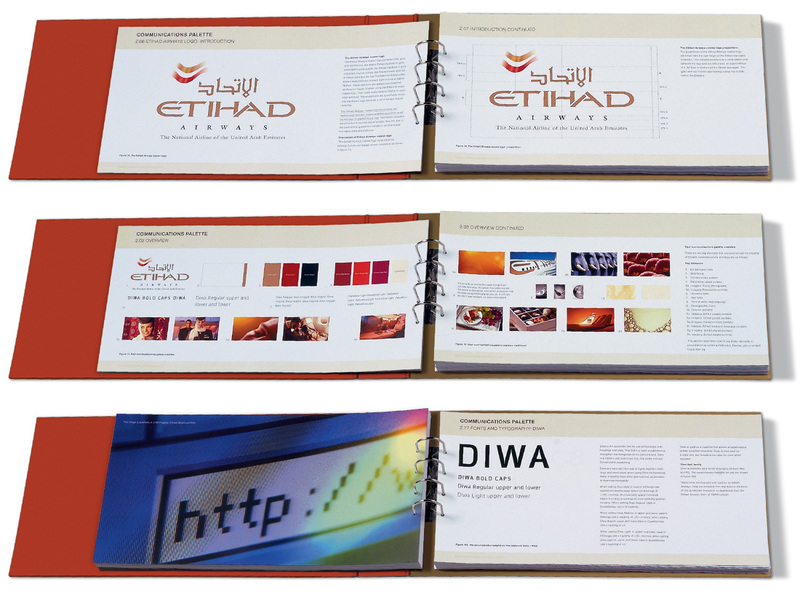 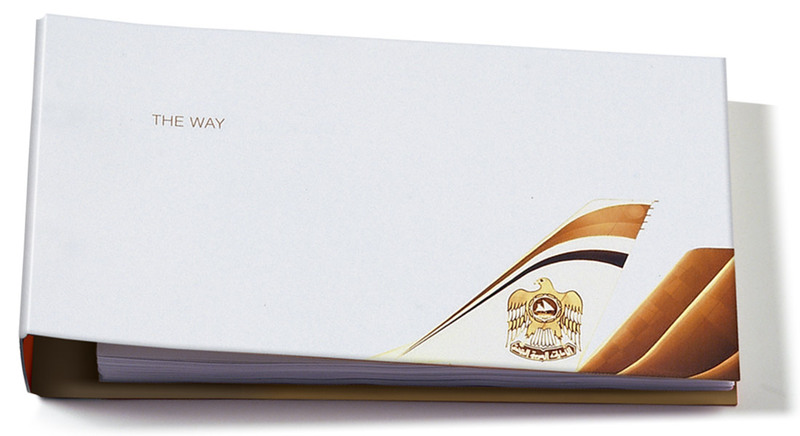 At TBWA\London, APDA was asked to write and design Etihad Airways first International Brand Guidelines Manual. 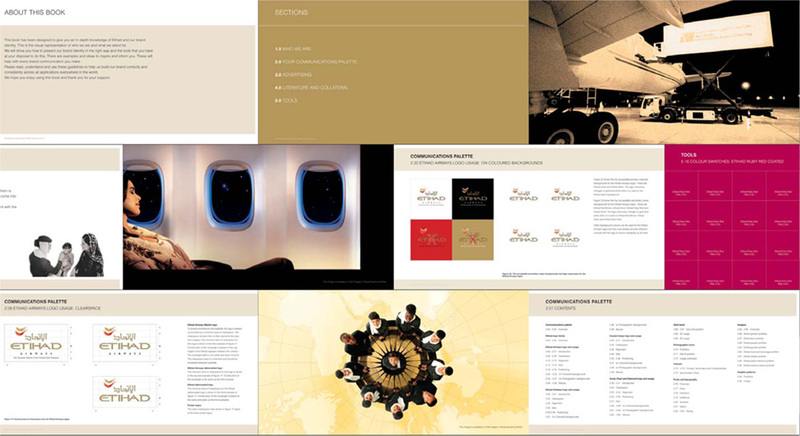 The airline is the national carrier for the United Arab Emirates and at the time had just placed the biggest new plane order with Boeing. 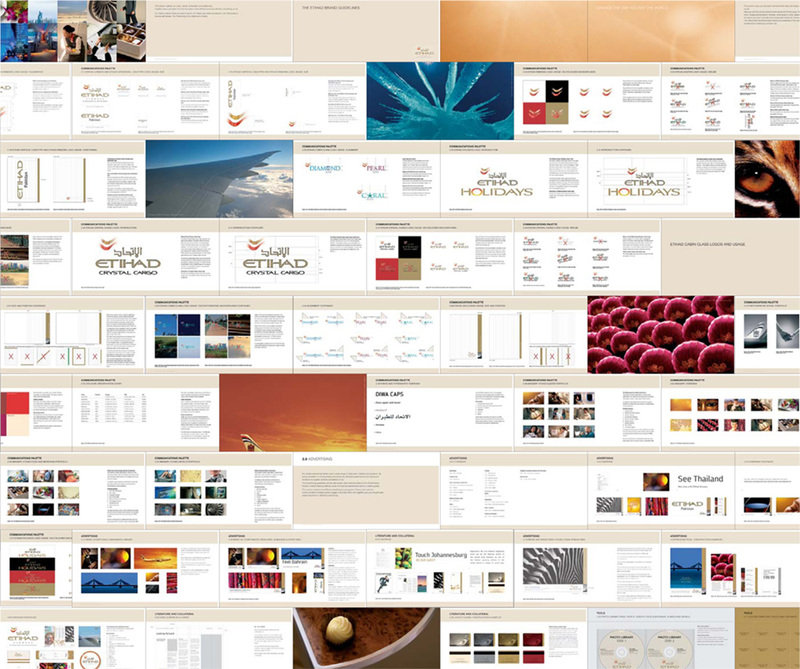 A key aspect of this project was translating the new Etihad identity onto a wide range of marketing collateral templates to feature as examples throughout the guidelines.